The Fallout 4 DLC Vault-Tec Workshop was released today, along with a developer livestream showing off some of the expansion’s new content. 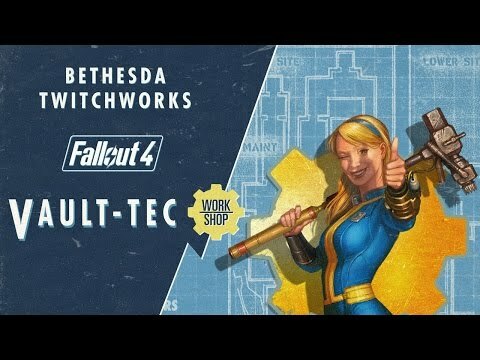 The DLC pack includes a huge new settlement to explore and settle, one of the series famous Vault-Tec vaults, and plenty of new items to craft to make the settlement look its best. The DLC also not only allows you to craft a ton of pre-war art and items, but also use them to perform experiments on your settlers like any good Vault-Tec overseer. For more on Fallout 4, check out our review of the base game.